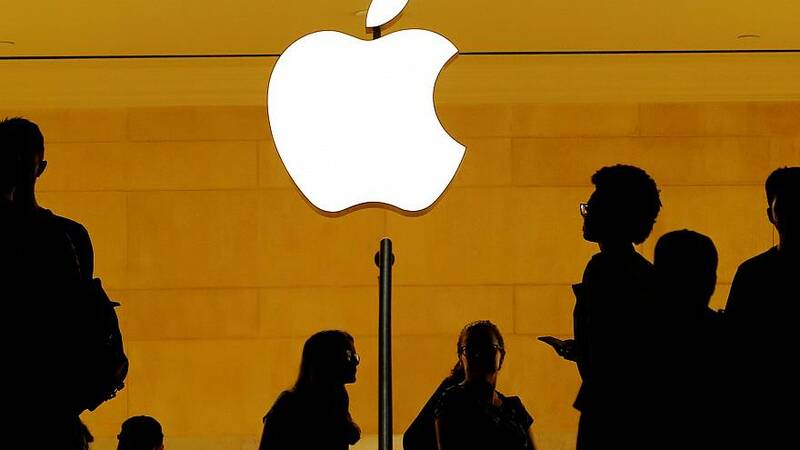 Apple Inc has published quarterly results it describes as “record-breaking”, but share prices took a slide as the company warned of potentially weaker sales in the coming months. Revenues were up by 20 percent year-on-year to $62.9 billion (€55 billion), while profits rose 31 percent to $14.1 billion (€12.35 billion). However, Apple is warning that sales for the important Christmas holiday season are likely to miss Wall Street expectations. Chief Executive Tim Cook has spoken of weakness in some emerging markets – citing Brazil, India, Russia and Turkey – and also blames negative foreign exchange rates. The disappointing forecast helped send shares down by up to seven percent, taking roughly $70 billion (€61.3 billion) off Apple’s market value which dipped below $1 trillion, a figure it reached in August. Apple sold 46.9 million iPhones in the fiscal fourth quarter, missing analyst expectations of 47.5 million, according to FactSet. The fact that revenues are up, despite flat sales, is seen as a vindication of the company’s strategy of hiking up the prices of its phones. FactSet says the average selling price of iPhones was $793 (€694). The cost of new models is up on the last generation and analysts say this reflects a desire on the part of Apple to differentiate from its competitors, offering high quality products in a bid to stand out from the crowd. Apple says it will stop giving the number of unit sales of iPhones, iPads and Mac computers, bringing more negative market reaction. Revenue from services – including iCloud, the App Store and Apple Music – rose to $10 billion (€8.74 billion), reflecting another shift in the company’s focus. Apple has also been boosted by a reputation for being relatively trustworthy on data protection. It has largely avoided controversy, unlike some other tech giants such as Google and Facebook. There have been concerns that trade tensions between the US and China may make it difficult for Apple to get the supplies it needs. The firm relies on China for manufacturing but so far its products have been exempt from tariffs imposed by the Trump administration. Questions continue to be raised over the amount of tax paid by Apple and other tech giants. The company says it is the world’s largest corporate taxpayer and denies shirking its obligations. However, recent figures released by Spanish authorities show that the smallest company on the IBEX 35 – the benchmark index of the Madrid stock exchange – paid more tax over the past year than the four major tech giants (Apple, Google, Facebook and Amazon) combined. Last month reports said Apple had paid up over 14 billion euros in back taxes and interest, following EU action against Ireland over alleged unfair incentives. Both Apple and the Irish government are appealing against the original European Commission ruling. France, under President Emmanuel Macron, is spearheading plans for an EU-wide digital tax on the revenues of tech giants. French Finance Minister Bruno Le Maire has criticised what he called the “fiscal injustice” in Europe. The UK has also announced plans to draw more tax revenue from Apple and other big tech companies, with a proposed “Digital Service Tax”. Apple’s image has recently taken a knock in Sweden, where it has been forced to shelve plans for a “town square gathering space” in Stockholm. The choice of the capital’s Kungstradgarden Park – the King’s Garden – as the location sparked a public backlash. The company’s retail strategy, appearing to blur the boundaries between public space and its commercial activities, has been called into question. How much does mobile data cost across Europe?